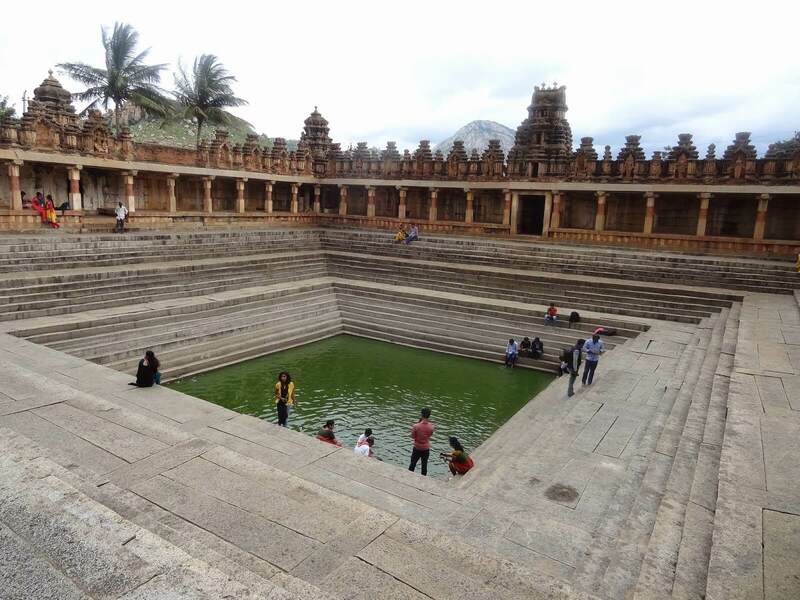 The Bhoga Nandeeshwara Temple is located in Nandi Hills Area, in Bangalore Rural district. It is a perfect weekend getaway for the city-weary people of Bangalore. The hills offer many places of interest amidst pristine forests, including the Nandi fort built by Tipu Sultan. The Bhoga Nandeeshwara Temple is situated in the village at the foothills of Nandi Hills. Nandi Hills is a popular temple site and picnic spot. The simple Yoga Nandeeshwara Temple on top of the hill is famous for the huge statue of the bull in front of the temple. Not many people know of the other Nandeeshwara temple, a magnificent, large complex housing not one, but three temples in all. The original Bhoga Nandeeshwara temple was built in the 9th century. The first phase is believed to have been built by the Bana Queen Ratnavali. The temple then underwent many additions and modifications, spread over the rule of around five dynasties. Nandi Hills is a very famous tourist spot. Frequent bus services will be available from the city of Bangalore, 60 km away. 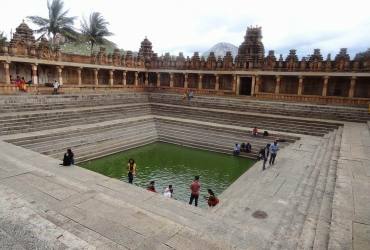 Bhoga Nandeeshwara Temple is located in the village at the foothills of Nandi Hills. You can reach here from Nandi Hills by auto rickshaw.